Selena Gomez just got a proposal from a guy who wasn’t her boyfriend, but The Weeknd shouldn’t worry – marriage wasn’t on the table. What was the proposal for? A cup of frozen yogurt. Yup, it was all for some sweet dessert. Who wouldn’t take the risk when the stakes are that high? 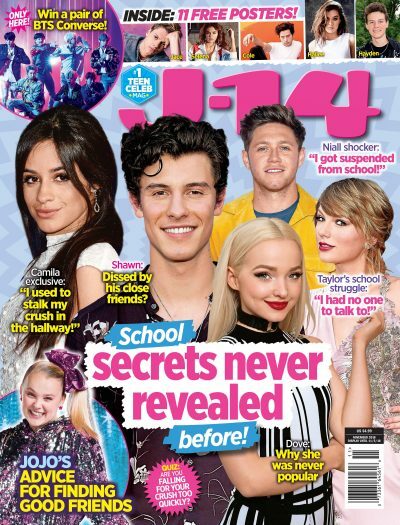 All of this went down when the “Bad Liar” singer played a game where she had to find a ring buried in one of six boxes, during her nostalgia-filled trip to the Radio Disney studios back in June. YouTube star Brent Rivera was the lucky guy who not only got to confess his huge crush on the singer, but also risked his dream of having fro-yo with Sel by leaving it all to a game of chance. Proving she was totally down to have some fun, the “It Ain’t Me” singer joked that she wasn’t “sure how her boyfriend would feel” about another guy popping the big question, but she’d still play the game. What followed next was probably not how Brent pictured the moment going, especially since the ring was nowhere to be found once the game was over. The bright side? Sel found a framed picture of the social star and something neither of them was sure what it was. Brent didn’t let that keep him down though! He took matters into his own hands at the end, got down on one knee, and popped the dessert-filled question in something that can only be described as the furthest thing from cool and smooth. Though that doesn’t stop it from being totally sweet or even slightly hilarious. We're sure the social star would have no problem for paying if it meant hanging-out with his celebrity crush, but the question left on everyone's mind was whether or not they actually went out and got that fro-yo. C'mon Brent, tell us!